3-N-1 Electric Start 159CC. #12ABA2M6766. 3-N-1 High Wheel 159 CC.#12AVB2M5766. Real wheel drive. 163cc Briggs & Stratton 725EX Series engine. #12AKC3A3766. MTD® 20" Push Mower Side Discharge 125 CC. 11BO2M2700. Electric Start. Kohler OHV. RWD. #10734. Photo may be similar to several models. See sales associate for full line catalog or visit www.DRPOWER.com for more information. Milwaukee® M18 TM a) Cordless String Trimmer Kit 9 AMP #2725-21HD. Bare Tool #2724-20. 488-2024 16 #2727-21HD. Honda 17" 4-Stroke Trimmer 2sec. #HHT25SLTAT. Loop Handle. 5500W - 7000W Max EUT000IAT1ISIA. cJ 1800 PSI Pressure Washer 1.3 CiPM. AR383S. HONDA GENERATORS & Inverters On Page 8! Stihl product is approved to sell in 46 Bomgaars locations. These locations are proud to have a Stihl certified tech on staff that can service the Stihl products that we sell! Albert Lea, Algona, Alliance, Blue Earth, Boone, Brighton, Burlington, Carroll, Cody, Council Bluffs, Denison, Des Moines, Diamond Ville, Estherville, Fort Dodge, Gillette, Glenwood, Grimes, Harlan, Humboldt, Imperial, Lander, Loveland, Luverne, Norfolk, O'Neil, Orange City, Pipestone, Plattsmouth, Rawlins, Sheldon, Sidney, Sioux City (both), Slayton, Spencer, Spirit Lake, Sterling, Storm Lake, Torrington, Valentine, Wahoo, Waseca, Wayne, Wellington, Worland. Echo is stocked to sell in the remaining Bomgaars stores but can also be sold in any of the Stihl approved stores. 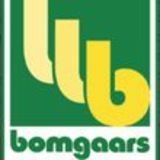 Bomgaars is proud to be able to offer both premium brands to our customers. Cub速 54" Zero Turn 24hp. 2T154. 418-0007. Cub速 46" Steering Wheel .Zero Tum 23hp. #RZTSX46. 418-0009. 60" Fabricated Deck 60". #Pro Z 160 KW. 418-0010. 1,200 lbs. Fold Down Sides. PTOC-600-QC Ace Pump 65 GPM. 6-Pline. 2. 1 GPM. 12V. #7812-201-BBI. 40:1 or 50:1 Mix Ethanol-free fuel that's precisely mixed with the most advanced synthetic lubricant. One quart. �":� � � ��: :�.